Abuja – The Catholic Bishop of Sokoto Diocese, Most Rev. Matthew Kukah, on Tuesday said fighting corruption and fixing Nigeria required more than a God-fearing leader. Kukah said that it was wonderful to talk about fighting corruption but that Nigerians could not fight it if they had not diagnosed the environment “as to why and how about corruption”. He said that it was sad that every time, Nigerians would be excited about a new administration but that the excitement never lasted because bad governance often set in. Kukah said that quite a number of Nigerians had decided to make peace with the situation because they had decided that “the building called corruption is too big for them to break down”. Kukah said that it was against this backdrop that the book should be appreciated for its intricate setting which dealt on corruption. In his contribution, pioneer Chairman of Economic and Financial Crimes Commission (EFCC), Mallam Nuhu Ribadu, commended the author of the book for taking time to write about Nigeria and its fight against corruption. Ribadu said that the novel exposed the intricate world of organised crime and Nigeria’s modest effort to tackle the behemoth like when he was serving as EFCC chairman. Mr Chido Onumah, Coordinator of the Centre, said that the novel went beyond fiction to being a testament of the courage and determination of the men and women at the EFCC who fought corruption. Onumah said that the author had added his voice to the narrative of the anti-corruption fight in Nigeria as a first-hand person that experienced the fight. The author of the book, Moss, who served as the US Deputy Assistant Secretary, said that the inspiration for the book came out of his experience while as an anti-corruption worker. Moss said that the book cut across Nigeria, Russia and Washington, adding that no country was immuned to corruption. 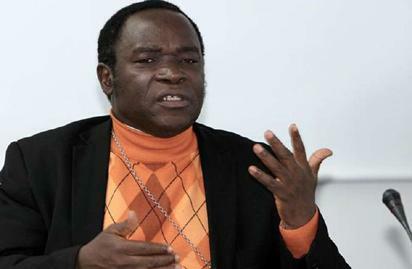 The post Governance in Nigeria is a criminalised enterprise – Kukah appeared first on Vanguard News.